Well, I really feel like I've hit the reset button on my computer life. I'm back on a Mac for the first time in five years, so I'm learning the new (to me!) OSX operating system and figuring out how to get around generally. I also took the plunge and got the Adobe Master Collection of software, which includes the standard design programs that I use (PhotoShop, Illustrator, DreamWeaver, InDesign among others) and also includes a very important program that will propel me on in my path to video recording and editing: Adobe Premiere Pro CS5. Most Adobe products appear on the surface to be very simple, and easy to use, but with time you learn that the programs are deep and capable of many, many subtle functions. I found Premiere to be deep from the get-go. I suppose it has to be. Immediately, just to get video clips to load into the program, I'm dealing with sequence settings. What the heck are sequence settings?!? Thankfully, it comes with extensive support in the form of the help menu. 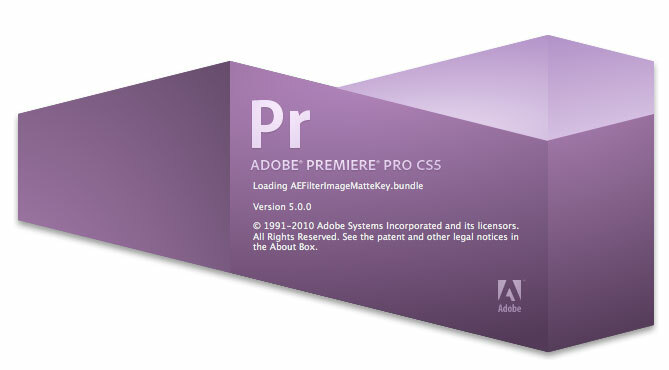 There are also oodles of videos at Adobe TV that go over the basic functions. They seem to be clips from a larger body of tutorial videos at lynda.com. Presumably this is a pay service to see the full length/in-depth tutorials. Perhaps I'll do that at some point, but the simple free stuff is all I need right now.